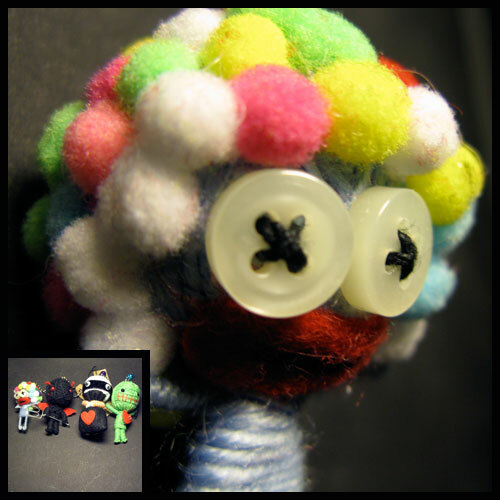 Dolls made out of yarn with wire armature and very small marbles for eyes. Kind of like voodoo dolls, link if you think about it. The types of figures: a zombie, a burgular, a devil,a spider, and a guy with some wierd hairdo. They’re not bendable or flexable, but they look cool if you hang them on walls. I collected my first four in England. Then I got one at a swap meet in Westwood. The first four were shaped like humans. The last one was a spider.